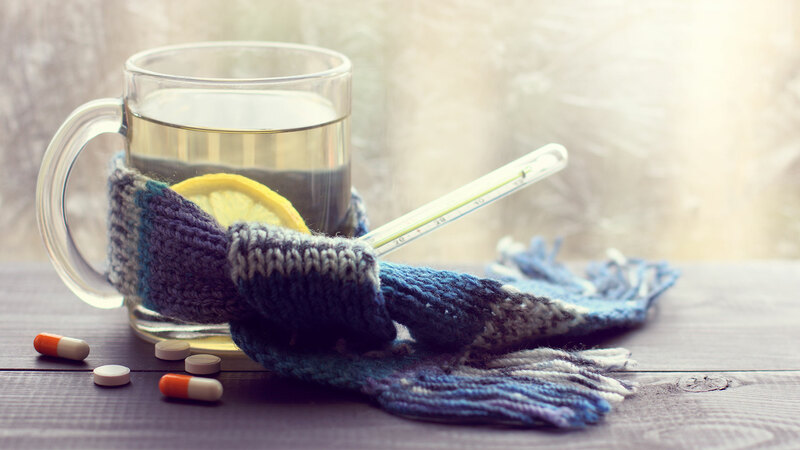 One of the hallmarks of a winter season in an area that gets winter weather is the abundance of viruses and bacterial infections that we all seem to share. Dr. Malini Reddy, a physician and part of the Reddy Medical Group, tells SheKnows that there are many reasons for this. Prevention is key, she says, and that includes washing your hands all the time, avoiding people who are displaying symptoms and also getting the flu vaccine. Fireplaces or unvented stoves can trigger asthma or other breathing issues, Dr. Ayesha F. Cheema, a primary care doctor with Mercy Personal Physicians at Columbia, tells SheKnows. “Take proper precautions and discuss with your physician about proper use of inhalers and medications,” she explains. She says that proper patient education decreases hospitalization and improves daily function, and talking with your doctor about how to avoid or decrease triggers can improve your health. In other words, communication with your care provider is key, either before you’re exposed or after you’ve developed symptoms. We’re spending more time indoors in the winter, as we’ve already talked about, but there is another problem — the incidence of indoor allergies can increase during the winter months. One of the reasons is that indoor heating units can stir up allergens and make them more concentrated during this time of the year, Dr. Hollin Calloway, an ear, nose and throat specialist, tells SheKnows. Change your furnace filters on time — Calloway says this will drastically cut down on circulating allergens and reduce your risk. She also says regular vacuuming can help, and it’s also important to wash and dry your bedding frequently. Winter weather drives people indoors, which means they’re surrounded by heated — and dry — air. This can dehydrate your body and can also lead to dry, uncomfortable skin. To combat this, Cheema says your water intake needs to remain high even though you might not actually be outside sweating out all your fluids. In addition to drinking plenty of water, she says a humidifier can help, as can nasal saline gel if your nostrils feel a little wonky. A quality lotion or moisturizer can help your skin, as can lip balm. Winter often means snow, which also means you might have to pick up a shovel to clear your walkway or driveway. This can lead to fatigue, strained muscles or more severe injuries, according to Jon Cinkay, a physical therapist and exercise physiologist at the Hospital for Special Surgery Rehabilitation Department. Alter the way you shovel, Cinkay tells SheKnows. He suggests warming up with stretching exercises before you even walk out the door. Also, proper shoveling mechanics are key to staying pain-free. Many people bend over and twist over and over again, but this is not a great way to approach the task. Your eyes are also at risk during the winter months, Dr. Ming Wang, an eye surgeon at Wang Vision 3D Cataract & LASIK Center, tells SheKnows. “Central air heating systems, fireplaces and portable heaters dry out the interior air and can reduce air quality, which leads to dry eye,” he explains. He suggests trying an over-the-counter bottle of artificial tears first — and to select a name brand and avoid generics if possible, as generic formulas might not work as well as their fancier-named counterparts. While this isn’t as common as dry eye, Wang also warns that those who enjoy winter sports, such as skiing and snowboarding, snow blindness is a risk. “Snow blindness is a temporary condition of painful blurred vision due to significant exposure to UV rays from the sun,” he explains. He notes that the condition is temporary and, better yet, preventable — it’s vital that those who participate in these sports wear 100 percent UV-protective eyewear. If you’re experiencing it, though, he says it’s important to get indoors and avoid UV light exposure and apply lubricating drops — and if there’s no improvement within 24 hours, seek medical care from an eye doctor. While winter dumps garbage weather outside and we’re cooped up indoors, it can be hard to have to deal with health-related issues even if we’re not adventuring outdoors in the sunshine. With a little prevention, a lot of handwashing and a few changes, maybe winter won’t be quite so hard on you this year.